The Daily Mail are reporting Chelsea and Atletico Madrid have agreed a sensational swap deal that could see Diego Costa at Stamford Bridge next season. This would make a world of sense,unlike the senseless sale of mata. M a huge Mourinho fan. But this deal doesnt make any sense to me. I mean Costa?!! Courtious is way more valuable than Costa. We will be better off trying to buy a striker next season. Im sure Marin and Moses will be sold next summer which will fetch around 20mill pounds. Add another 15 and buy a good striker. Cant say I didn’t see this coming. Would have loved to see a scenario where we have a transition from Cech to Courtois or both of them doing shifts but its looking difficult now. Lukaku is another who might not also fit into the new system not to mention a host of other young players who would be hoping for a miracle to the first team soon. Brace yourselves already mates, we cant keep all of them. Sooner or later, we were bound to loose a favourite for a better player. The trend has started, In Mourinho we must trust. I trust z club with decision. They know z better option for z club. Club staff and coach always want to do better for z team. It is there work. They know which is urgently needed to z club & what options r in z market interms of quality and cost to replace if we loose z striker or z stopper. Z decision of z board is z better as they know more about it. Thanks for the ingsthi. It brings light into the dark! Guys maybe this is one of the toughest problem ever in Chelsea. The kid doesn’t want to be a backup to the legend Petr Cech. In my point of view we can’t sale Cech and I think he is a better keeper than that kid. Cech still strong and I believe that he can play at the top level till he get 40. If you don’t believe that take a look at Mark (our second keeper) the guy is 41 if I’m not mistaken but still strong enough to keep playing. Now I don’t worry that much wondering if Cech got injury or something else happen who will be our keep. As long as Mark is there we have a perfect buck up. That means that Cech still have more years to play and Courtois can’t wait those years. And again it seems like he don’t want to be loaned anymore. 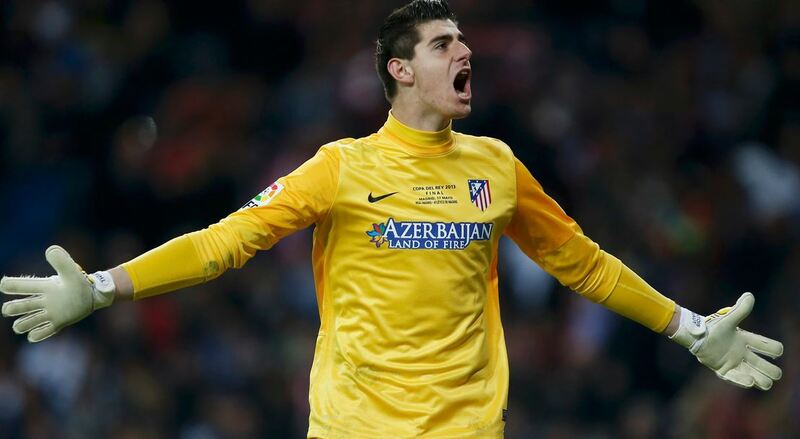 I will like to have him at the bridge but Cech is Cech. You can’t sale the best keeper in the world and again Petr Cech is EPL and club legend who still the best in the world. I think we will be forced to let the kid leave. Costa suits our style down to the ground anyone else doesn’t really suit how we play. He’s strong/ good in air/ reasonably two footed etc. I would also like to see us go for Bony as well due to his ability to turn and shoot accurately from reasonable distance. In the perfect world I would like to have this front personnel next season Costa-Bony-Lukaku-Torres. However, the majority of clubs and seasons Mourinho as a general rule will only have 3 strikers so therefore like we have recently experienced football is harsh sometimes and you have to be harsh to progress. So therefore (sentimental feelings aside) Wouldn’t mind seeing Torres go in the other direction for Costa. So therefore next seaon Costa-Bony-Lukaku. In reality it will probs be Costa-Lukaku-Torres. For what! Chech should b resignd nd let this young man take over. He has neva playd for us. I don’t undestand Jose! He sold mata now he wants to do a swap deal with courtois. What of lukaku can’t he be turned into a world class striker? Same person Diego costa was also turned nd trained into a world class..
I’ve been exploring for a bit for any high quality articles or weblog posts in this sort of house . Exploring in Yahoo I finally stumbled upon this website. Reading this information So i’m happy to exhibit that I have a very excellent uncanny feeling I found out just what I needed. I most certainly will make certain to don?t disregard this site and provides it a look regularly. I’ve been surfing on-line greater than 3 hours these days, but I by no means found any attention-grabbing article like yours. It’s lovely value sufficient for me. In my opinion, if all website owners and bloggers made just right content as you did, the web can be much more useful than ever before.